Vintners Inn provided the stunning backdrop of Sonoma County’s vineyards and hills for Tamara and Andrew’s Santa Rosa wedding. 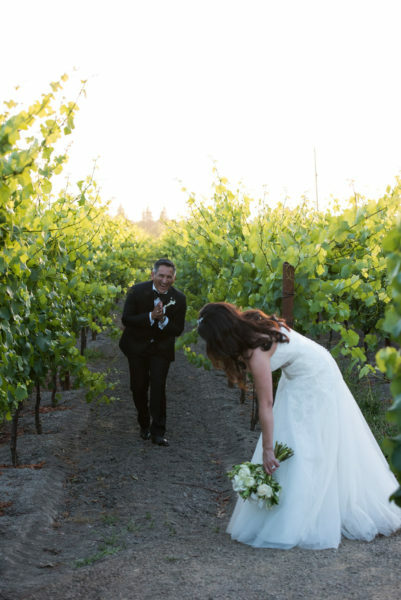 One of the most versatile wine country wedding venues, Vintners Inn offers numerous beautiful outdoor and indoor locations to choose from, including ballrooms, terraces, outdoor patios with fireplaces and courtyards to name a few. 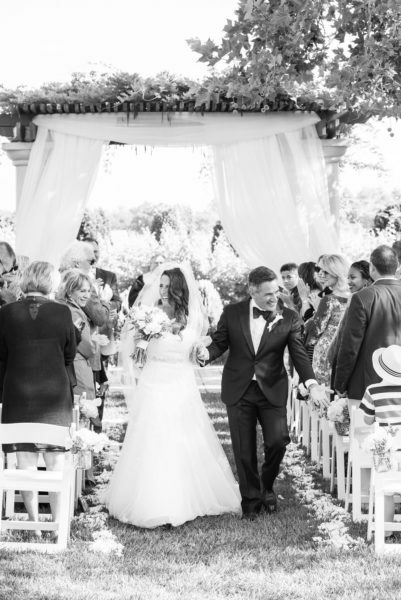 A true professional and easy going, Ken Viale Photography captured all of the moments from this Santa Rosa wedding. Not only do they snap awesome images, they also do an excellent job of making people feel at ease in front of the camera. Lauren Miller Events coordinated the day for Tamara and Andrew. Lauren’s professionalism, know-how, attention to detail and on-point coordination have any event flowing seamlessly from start to finish. Following cocktails on the Rose Patio, bride, groom and guests moved into the ballroom for dinner and dancing. Tamara and Andrew chose AMS Entertainment’s candlelight white uplights to light up their reception ballroom, and it was beautiful! Vintners Inn onsite catering, John Ash & Co. Catering, provided the incredible and delicious food. AMS DJ Skip lit up the dance floor! 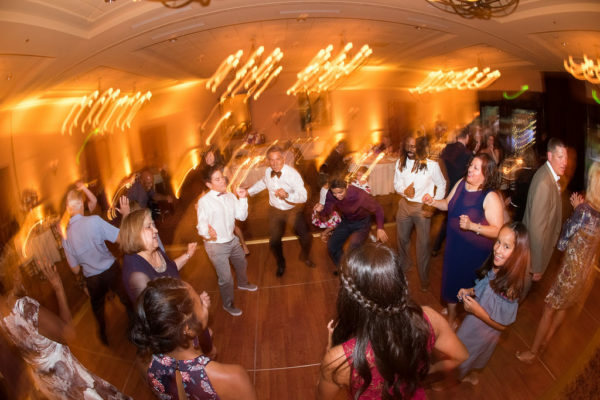 AMS Entertainment knows how to throw epic dance parties, and for this destination wedding couple, DJ Skip rose to the occasion. 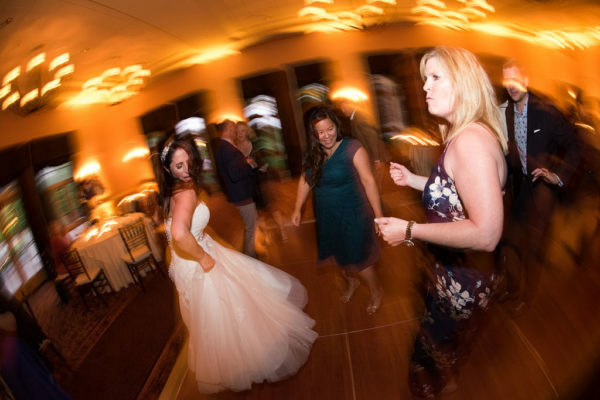 Using AMS’ online music planner, Tamara and Andrew customized their playlists with some of their favs like “Don’t Stop Till You Get Enough” and “Can’t Stop the Feeling!” and DJ Skip mixed in other great tunes to create the epic dance party. Cheers to Tamara and Andrew! Thank you for letting us be part of your awesome Santa Rosa wedding party at Vintners Inn! Imagine a packed dance floor at your wedding. Yes, that can happen with AMS Entertainment – text, call (707)823-7359 or email. AMS met all of our needs. They crushed it on the day of the wedding! I was totally at ease choosing AMS as my DJ because I had read nothing but phenomenal reviews of their company and my wedding planner’s company also used AMS for her own wedding!